Budgets are a great way to keep track of your work and can be set up for both contacts and projects. You can set a budget of hours or a billable amount and set the frequency. Setting a billable budget uses your hourly rate settings to calculate the billable total of any time you or your team have tracked to that contact or project. 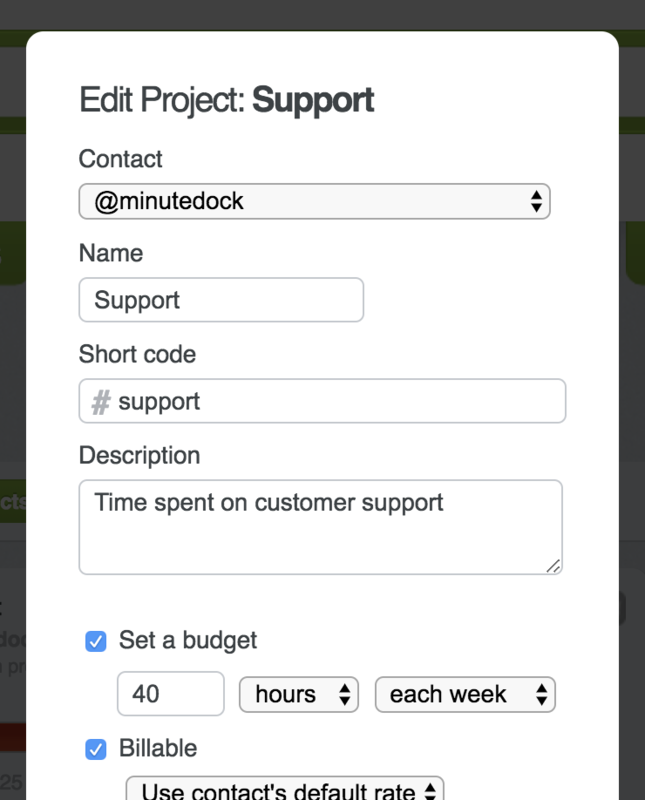 Setting a budget based on hours will monitor any billable time tracked to the contact or project. This is great for keeping track of things like retainer arrangements. You can view your budgets at a glance in the contacts or projects tab – you can even run a report directly from the contact or project.